Electric power books are divided into few sections, so it is easy for power engineers to find appropriate book, guide or information related to electrical science, power engineering, automation, industry etc. 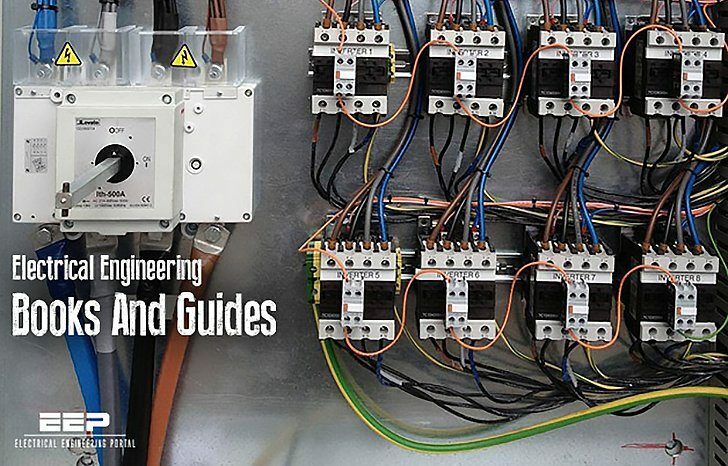 During years, well known manufacturers like ABB, Siemens, Schneider Electric, Danfoss and others were releasing technical guides, books and publications written by their expirienced engineers, and now they can be found all in one place, at EEP. Every book, guide and document is free to download. Cahiers Techniques is a collection of documents intended for engineers and technicians, people in the industry who are looking for more in-depth information in order to complement that given in product catalogues. Furthermore, “Cahiers Techniques” are often considered as helpful “tools” for training courses. They provide knowledge on new technical and technological developments in the electrotechnical field and electronics. They also provide better understanding of various phenomena observed in electrical installations, systems and equipment. On this page you can find many good books related to elecricity, industry, automation and telecommunications. Schneider Electric SA. The Group’s principal activities are electricity and automation management. The Group operates under three major segments, Electrical distribution, Automation and Control and Secured energy. Under Electricity distribution, the Group offers electrical products such as circuit breakers, switches, safety lighting, prefabricated busbar trunking, modular switchgear, Power Line Carrier communication networks and Voice-Data-Image solutions. Heating a home has always been and still is a basic human requirement. This requirement enables us to live and work in locations with low temperature. In the beginning the solutions were simple. An open fire on the floor of a tent or a simple hut, made it possible to survive in a hostile environment. As civilisation developed there was migration from the countryside to the towns and cities and into bigger and bigger houses, creating a requirement for more elborate heating systems. This requirement stimulated technical development, but also created a problem, namely the use of a finite resource (fossil fuels) with the resulting pollutions from the burned fuels. Danfoss has released this great heating book in 9 chapters which are available in this section. Heating, ventilating, and air conditioning is based on inventions and discoveries made by Nikolay Lvov, Michael Faraday, Willis Carrier, Reuben Trane, James Joule, William Rankine, Sadi Carnot, and many others. The invention of the components of HVAC systems went hand-in-hand with the industrial revolution, and new methods of modernization, higher efficiency, and system control are constantly introduced by companies and inventors all over the world. The three central functions of heating, ventilating, and air-conditioning are interrelated, providing thermal comfort, acceptable indoor air quality, within reasonable installation, operation, and maintenance costs. HVAC systems can provide ventilation, reduce air infiltration, and maintain pressure relationships between spaces. How air is delivered to, and removed from spaces is known as room air distribution. I will like to access to some book with technical information about power supply to big buildings with big electricity demand, using busbar in medium and low voltage. what voltage readings should one get.